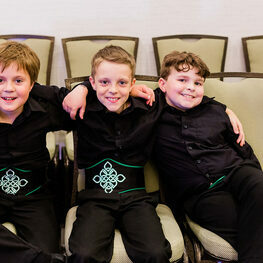 McConnell School of I rish Dance is a registered member of Cumann Rince Náisiúnta(CRN), based in Dublin, Ireland. Our students compete in CRN's Open Platform Feis (competitions), which take place at the Regional, National, and World Open levels. The Competitive season extends Sept - May for dancers who wish to compete in our school or nearby competitions. For dancers who wish to compete at the Regional, National, or World competitions, the season will extend Sept - August. Competition is not mandatory for dancers enrolled in Competitive classes. Our competitive program is ideal for dancers who wish to brush up on technique or who need additional learning time, even if they do not wish to compete. There are no performances for dancers registered in competitive division. Dancers who wish to compete and perform will need to register for Competitive & General or Performance Division Classes. Dancers who wish to attend competitions will need to confirm their participation with MSD in advance. Instructors will determine which dances and levels are most appropriate for students. Schools hosting competitions will release their syllabus 6 - 8 weeks prior to the competition and generally registration for dancers attending competitions will be arranged through MSD. All competition fees must be paid in advance. Any outstanding balances for lessons to McConnell School of Dance must be paid prior to the competition registration. Competing dancers are not permitted to teach and must maintain a non-professional Irish dance status while they are competing. There are no competitive classes the week after major competitions and school attended feiles. The CRN Calendar is released in December each season and dancers should wait until the calendar is published before considering travel plans. We strongly recommend dancers wait until the competition registration is released before booking any travel as dates and locations can change. In most cases, registration is available 6 - 8 weeks prior to the competition. Generally, registration for CRN competitions is organised by the school. Students will receive notice via email once the competition registration is available and a deadline offered for registration. After registration dancers will receive an invoice outlining their competition fees and a deadline for payment. All fees must be paid by the deadline (no exceptions). Dancers are responsible for all registration fees for their competitions. Competition fees average at $7 - $10 U.S. per dance. Lessons discounts and subsidy is not available for any competing dancers. Dancers are responsible for all costs associated with their travel to and from competitions. All travel arrangements are to be made by the individual, including transportation, accommodations, and chaperones. Instructors are not available to chaperone dancers who are not accompanied by a parent. CRN Lanyards are ordered from Ireland yearly in the Spring & Fall and cost $20 Canadian. The lanyard is good for life and does not need to be renewed, unless it's lost. Lanyards enable dancers to avoid paying feile entry fees. 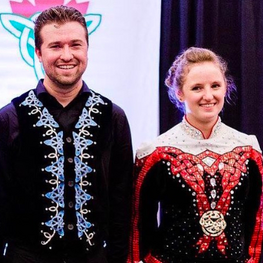 They are an economic option for dancers who attend competitions every year, but not necessary for dancers who are new to competitive Irish dance and uncertain if it's something they wish to continue with. 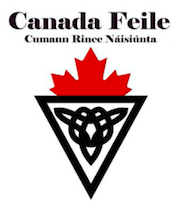 CRN collects a yearly membership fee from schools and the funds to pay for the membership fee are divided between all dancer's competing in Canada Feile. 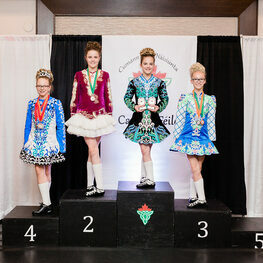 The fee amount is $5 and it is added to dancer's Canada Feile registration. Without membership in CRN dancers would be responsible to pay an additional $15 per dancer at each competition, so CRN membership has its benefit. 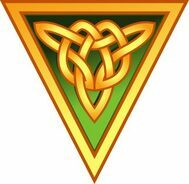 Our Competitive Irish Dance Program requires a great deal of work on the part of the instructors as well as administrative time for the school. Instructors travel on their own time to attend competitions and volunteer to organise all major and class feiles on their free time and are not paid for any of their work outside of lessons. Teacher's travel expenses include airfare, hotel, transportation, and food while traveling. Attending competitions is not a holiday for instructors, it's hard work which usually last much longer than a standard 8 hour day. Therefore, all competing students are required to pay fees towards instructor travel for every feile student's attend. Instructors do not make money from competitions and the funds generated from Instructor Travel Fees collected do not fully cover the travel expenses for all of the competitions they attend. Instructor Travel Fees will be added to registration fees and must be paid prior to the competition. Instructors determine which level and which dances students will learn and compete with for solo and award competitions. Dancers who've placed out of a particular dance are not necessarily ready to move on to the dance in the next level. In some instances dancers may place out of a dance but still require practice with the dance for the purpose of competing in awards at Regional and National competitions. Instructors have the best interests of the dancer in mind when making these decisions and students and their parents are asked to assist and support us in making the best choice for the dancer. Dances in Levels 1 - 3 are standardised steps throughout all schools in CRN. 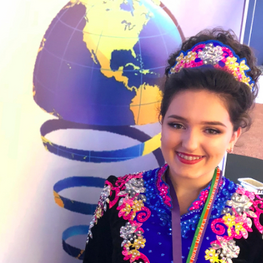 There are slight variations in style between regions and schools, however dancers in Bunghrád, Ullmhúchán, Meanghrád must compete with the CRN sanctioned dances. Dances in Levels 4 & 5 are of the same standard, however these dances are developed and choreographed by the school's instructor. Slight differences in steps may be added for dancers who have individual strengths or weaknesses. Students who wish to compete with unique steps and choreography will need to take solo classes. For solo dances, students will need a minimum of 5 hours per dance. For individual set dances, students will need a minimum of 10 hours of solo work. Below are the basic guidelines for McConnell Dancers and Parents attending competitions and expectations for all dancers and their family members. Instructor availability is limited during competitions as CRN Teachers are required to volunteer and organize all feiles. Please be mindful of instructor’s time at competitions, but if you need them, they are always available. Dancers and their family members are expected to conduct themselves properly at all times whist travelling to and from competitions. Good behaviour is expected in hotels, airports, and competition venues. Children are to be supervised at all times and there should be no running in hallways, causing disturbances, creating messes, or inappropriate behaviour. Good sportsmanship is expected from dancers and their parents. Upset over results, questioning adjudicator decisions, and complaining about placements will not be tolerated and will result in sanctions or suspensions for dancers. Gossip or mean spirited behaviour towards dancers, teachers, and adjudicators will not be tolerated. Dancers and families are expected to treat students & their families from other schools well and be welcoming and friendly to all at competitions. Dancers who do not comply with CRN regulations may receive a sanction. On their 3rd sanction dancers are suspended from competition for 3 months. Students or parents who do not follow the guidelines outlined by McConnell School of Dance for competition may receive a 3 month ban from competition. McConnell School of Dance reserves the right to limit or ban dancers from competing with no reimbursement for fees or lessons. Be dressed and ready to compete at least 30 minutes prior to competition time as there can be long line ups at check in, especially during earlier competitions. Absolutely no changing in competition room or in hallways. All dancers must change in dancer’s room (or wherever directed by the Feile). Change rooms are not co-ed and male dancers must stay in area designed for them. Dancers must be in full costume to receive their prize. If you are not in costume including footwear, you will not be allowed on the stage / podium. Dancers who impede another competition on stage will result in disciplinary action being taken 1st offence - written warning 2nd offence - immediate suspension for a period of 3 months. Dancers who fall while competition in a solo competition will not be penalized and will be allowed the opportunity to compete again at a later time. If a dancer falls, the other competitors should continue to dance, unless otherwise directed by the adjudicator. Dancers who are injured will not be allowed to compete. MSD will keep track of dancer’s results, but dancers and parents are encouraged to record their individual results for their own information. Results are posted on CRN’s website and MSD maintains a results book at the studio for instructor's reference only. No grades apply to children up to the age of 6. Dancers under 6 are permitted to dance in all solo competitions until they are of an age to move on. Adjudicator marks and comments for CRN Solo Competitions are not shared with dancers as it is expected that instructors are already aware of what is necessary for dancers to improve in order to move up in levels. CRN determines the minimum number of dancers who place in a particular competition, based on the number of competitors. Adjudicators have the option to place more than the required minimum. Typically schools will group together for the reading of results. Photos are permitted but dancers & parents are reminded not to be intrusive with their photography. Dancers are reminded to accept the results of the adjudicator without question or upset. Please remember, no sad faces or tears! If you are cheering for your school’s dancers, please keep in mind you should cheer equally for other dancers / school’s results. Parents are asked NOT to place pressure on dancers or instructors. Please do not show disappointment if dancers do not place and keep in mind you must set the example and offer guidance to assist dancers who may be dealing with their own disappointment. Dancers & Parents are also reminded to accept achievements with grace and dignity and not “show off” when they place well. Merit Award -dance who achieves a mark of 50 - 64 points. Under 50 no prize is awarded. School costumes, Solo Costumes, or Basic Skirt & Blouse may be worn at CRN Competitions. All new & second hand costumes MUST be approved by MSD prior to competitions. Please make sure costume items are secure as dancer will be disqualified if items fall off. If a costume piece falls off, dancers are required to stop dancing, pick up the item and return back to their position to wait until competition is over. Dancers may wear a basic skirt & blouse for any CRN competitions. In most cases, basic costume attire is used for beginner levels, however dancers who wish to save on costume costs may choose to wear basic attire for any levels of competition in CRN. 2018 - 2019 Team Costumes - required for dancers competing in Team & Ceili Competitions. New team dresses will be ordered in October 2018. Dancers who wish to compete in team competitions must have the new costume in order to participate in team competitions. All school costumes are registered with CRN so please wear appropriate school costumes. Shoes should be well fitting, clean, and polished. Ill-fitting shoes will affect a dancer’s placement and teachers will let you know if you require a better fitting shoe for competition. Absolutely no elastic in shoes laces (hard or soft). Use proper hard shoe or soft shoe laces only. Wide elastic, worn over shoes to help keep them on dancers feet is acceptable. If you are uncertain, please ask your instructor. Double knot all laces and secure buckles on hard shoes. Untied laces will result in disqualification. If a dancer’s lace becomes untied, dancers should return to their position to wait until the competition is over. 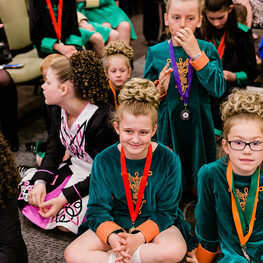 Wigs are optional for CRN Feile’s, however we prefer dancers wear wigs rather than hair down. Dancers who wish to wear their hair down should verify the style with instructors prior to competition. Full, Bun, or Pony tail wigs are acceptable. Team dances must have their style of wigs coordinated by instructor. Please make sure wigs are secure as dancer will be disqualified if it falls off. CRN Rule, dancers 20 and over must wear black tights. Team dancers must coordinate socks or tights, depending on age of the team. Make sure your socks are newer, clean, white, and well fitting. Sock glue is essential. MSD & CRN discourage the use of heavy make-up, spray tan, for younger dancers. There are no stage lights at Feile’s so heavy make-up is not necessary. Light or no make-up is acceptable. Dancers competing at higher levels and in major competitions may choose to wear stage make-up. Instructors will determine if a dancer's make-up is appropriate. 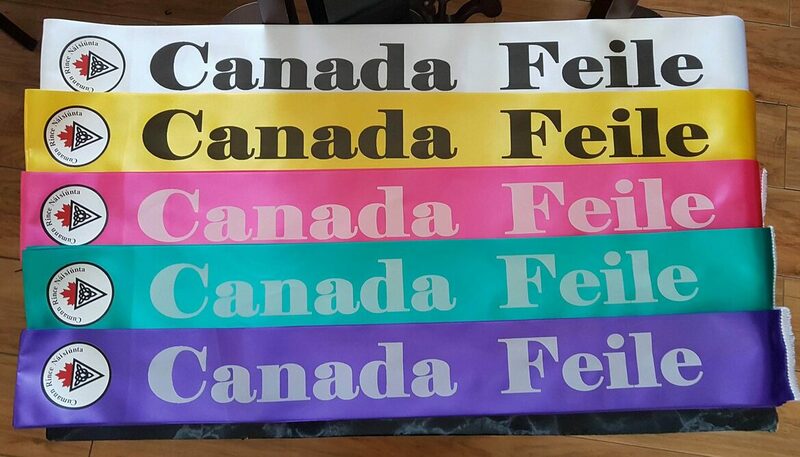 Canada Feile is organized by instructors from McConnell School of Dance in an effort to allow our students and those from other nearby schools the opportunity to compete, place, and advance levels without the burden of long distance travel. 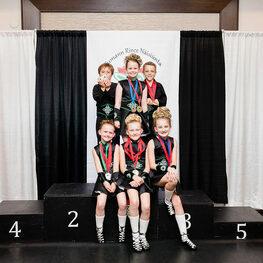 Canada Feile is open to all students from McConnell School of Dance, from all Divisions. 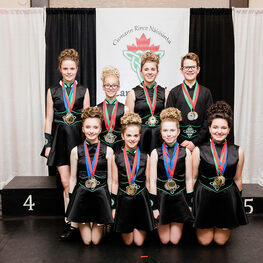 Dancers do not need to register for competitive division in order to compete at Canada Feile, although we do recommend Competitive Division classes for students who are serious about competing and wish to move on to higher competitive levels. 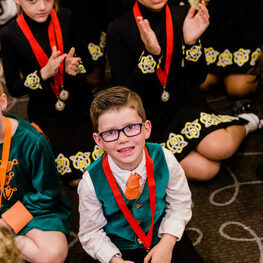 It takes a great deal of work in organizing and hosting an Irish Dance competition and we cannot do it without the support of our Competitive Division Dancers and their families. 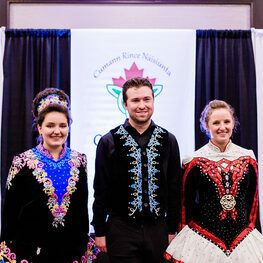 Competitive Division families are asked to provide a minimum of 4 hours volunteer time per dancer at the Canada Feile. Volunteer sign up will take place at registration. are limited to only open to those who belong to a particular organization. Competitions help motivate students to set individual goals and improve their technique. 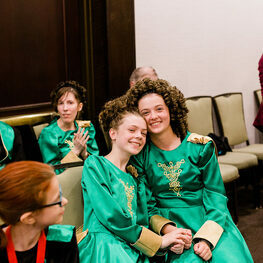 Competitive Irish dancers have the opportunity to travel and meet other Irish dancers from around the world. Improving technical skills in dance takes a great deal of self-discipline, patience, focus, hard work and commitment. Dancers and learn valuable life skills. CRN was established in 1982 in Dublin, Ireland by the late Ita Cadwell. 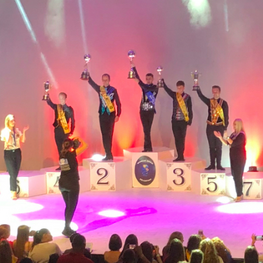 CRN is the only organization whose competitions successfully operate with the Open Platform, where any dancer from any teacher, from any part of the world or any organisation can compete. CRN believes in honesty, justice and fairness in competitions. CRN’s motto is: “Do not do to others what you would not like done to you”. CRN’s founder Ita Cadwell used the following phrase: “The honest road is the right and just road to take, but it is also a very hard and difficult road to take. CRN is widely known as a traditional dance organization and it has successfully maintained the integrity of traditional dances, while actively encouraging the development of new and innovative work. Great thought was put into considering the developmental levels of students and their capacity to execute work in solo dances. process of dancers a grading system is in operation in all 5 levels and grades. This system ensures that appropriate technique is being taught at each level. 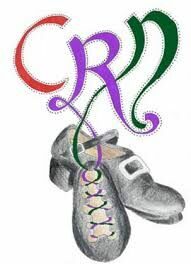 CRN is committed to protecting the integrity and purity of the Irish Dance tradition. CRN is very proud of the standard of dance education among its members. This standard was achieved through establishing a compulsory and rigorous teacher-training course and requires two to three years of supervised training in Ireland CRN Adjudicators must complete an additional two years of supervised study, taught by recognized trainers with Cumann Rince Náisiúnta. Additionally, the Instructor Examining Panel are also required to pursue continuing education. we approached with a great deal of thought. CRN best aligns with the principals our school was founded upon and operate their competitions based on a system of fairness and integrity with in their judging system.